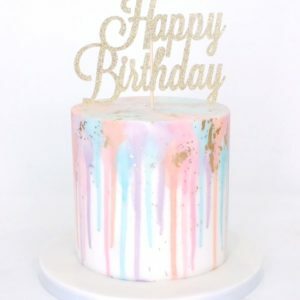 Make a bold and stylish impression with our smart geometric top-hat-style birthday cake, perfect for any gentleman’s birthday celebration young and old. 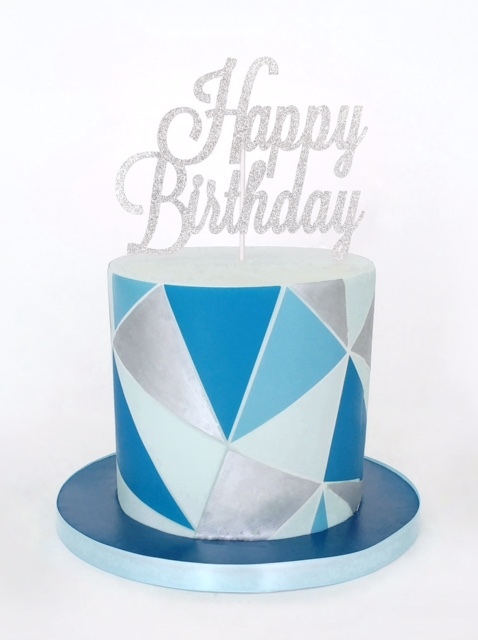 A big step up from any off-the-shelf birthday cake, but with a very reasonable price tag, our geometric patterned fondant iced birthday cakes are the perfect centrepiece for any birthday party or make a fabulous post-dinner surprise at your loved one’s favourite restaurant. Stylishly cool on the outside, our tasty cakes are just as impressive on the inside. Choose from our very moreish chocolate sponge filled with the fudgiest and most delicious chocolate buttercream – pure heaven for chocolate lovers – or our delightfully light and flavoursome vanilla victoria sponge filled with delicate, smooth and light vanilla buttercream. 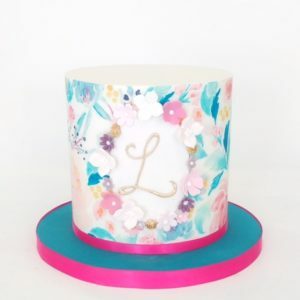 To order, simply choose a cake size from our 6 inch round to serve 10 through to our 10 inch cake to feed up to 30 people, and personalise if you wish. 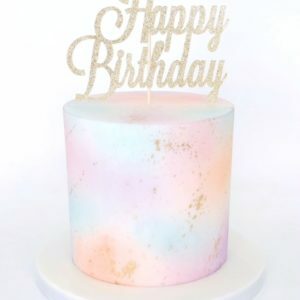 We deliver any cake fresh to homes, birthday venues and restaurants in London from £25, or you can collect from our London cake parlour. Have a question for us? 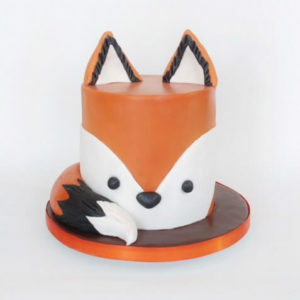 Call our professional cake team on 020 8874 4616.